March 22 is World Water Day - a day to appreciate all that water gives us in providing public health, environmental and economic benefits. To help educate Americans on the need to save water, EPA's WaterSense program is joining its partner American Water, together with the Student Conservation Association, in promoting the Save Water Today public service campaign to highlight the critical issue of saving water for future generations. Save Water Today is an integral component of American Water’s year-long consumer education campaign promoting water efficiency and source water protection to help mark the company’s 125th anniversary. The public service announcement (PSA) campaign comprises a quartet of PSAs that bring together Saturday Night Live alumni Rachel Dratch and Horatio Sanz, Diane Neal (formerly of Law & Order: Special Victims Unit), and 16-year-old national surfing champion Lakey Peterson to promote household water conservation. In each 30-second announcement, the uninvited – but not entirely unwelcomed – celebrity appears in someone’s home to deliver practical, action tips to viewers. For more information and to view the PSAs, visit www.savewatertoday.org. 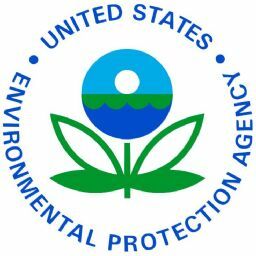 For more information on what EPA is doing on water efficiency, visit WaterSense at http://www.epa.gov/watersense.